Gore-Gore Rollergirls jammer Lexi Con becomes the first rookie to pick up the top JQ rating in the league over the course of a season (excluding, of course, the 2007 season). It was a remarkable breakout season for Lexi, who joined the Gores whose offense had essentially been gutted in the off season, and her 44 JQ is also the third highest rating in ToRD history behind Bala Reina’s 50 in 2012 and Bambi’s 45 in 2012; however, Lexi faced a stiff, late-season challenge from transfer skater Rainbow Fight who put up absolutely remarkable numbers over the season for the Dolls, including leading the league with a record setting 8 points per jam and a jammer plus/minus of +194, and shattering legendary skater Mach Wheels’ 2009 lead percentage record of 78% by a full 10% (88%). She accomplished this all while only jamming in 18% of the Death Track Dolls jams. While Rainbow may have been the most dominant jammer, it is hard to argue with Lexi’s top score as she was clearly the most valuable offensive asset to her team (despite her astonishing numbers, Rainbow was the fourth jammer in the deep Dolls’ rotation, and second in scoring on the team). Lexi led the league in scoring and finished second in points per jam, jammer plus/minus and lead percentage. Lexi and Rainbow led the league in every category except in track %, which was led by Smoke City Betties co-captain Hailey Copter (33%). It’s no surprise that the Gores and Dolls dominated the ratings, filling out the Top 5 and seeing 8 of the Top 10 jammers on this list. Gore Taranosaurus Rex had a strong season, slipping into the Top 5 on the strength of her 4.6 PPJ and 59% lead percentage. 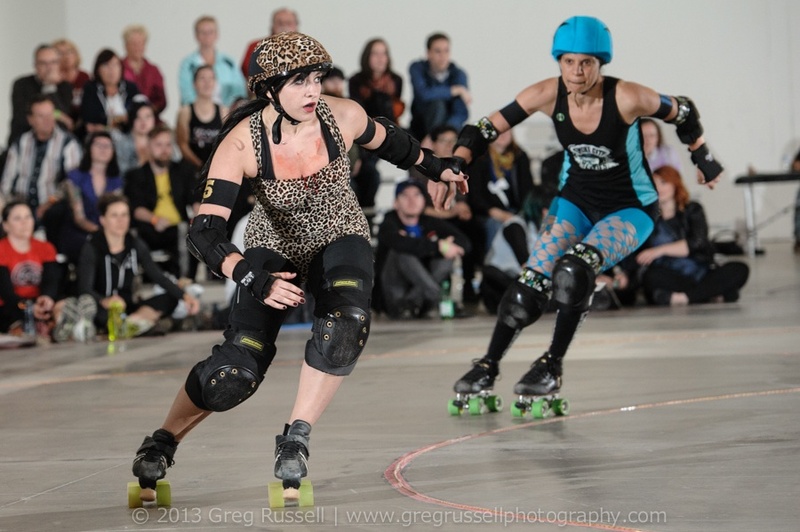 Similarly Getcha Kicks roared into the Top 5 late in the season after finishing 4th in league scoring with 164 points and second in track % (she jammed for 32% of the Dolls’ jams). R.I. Pink jumped into the Top 10 on the back of an excellent 62% lead percentage (good enough to tie her with Udre for third in the league). Visit here for an explanation of the JQ rating.